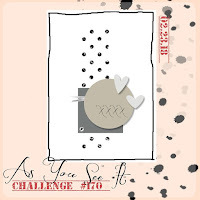 This week's new challenge at As You See It is a lovely sketch by Amanda. I've used Petal Palette as the basis for this card. It's a set from the Occasions Catalogue, released last month. I've stamped and coloured, with Stampin' Blends, the small flowers from the set then die cut them using the very convenient matching set of framelits, Petals and More. Bundled together, you can buy both at a 10% discount. The gorgeous embossed strip comes from one of the folders in the Petal Pair embossing set. It makes a great background for the main image. 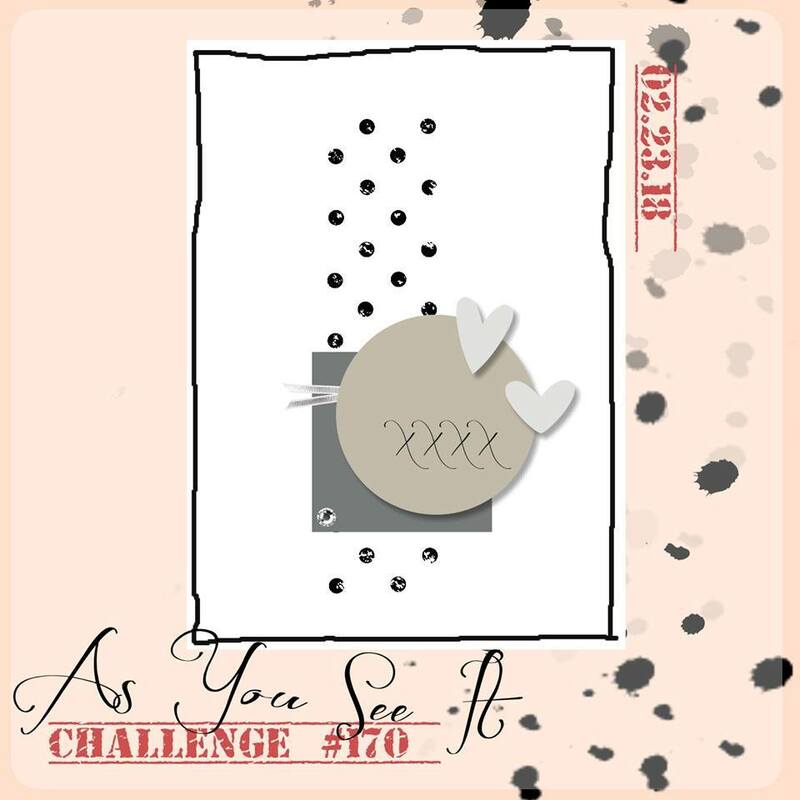 At As You See It, we like to see what you do with the challenge. You can join in with us up to 11.55 p.m. on Wednesday 7 March PST. Link up and show us how you see it! This is so pretty!! 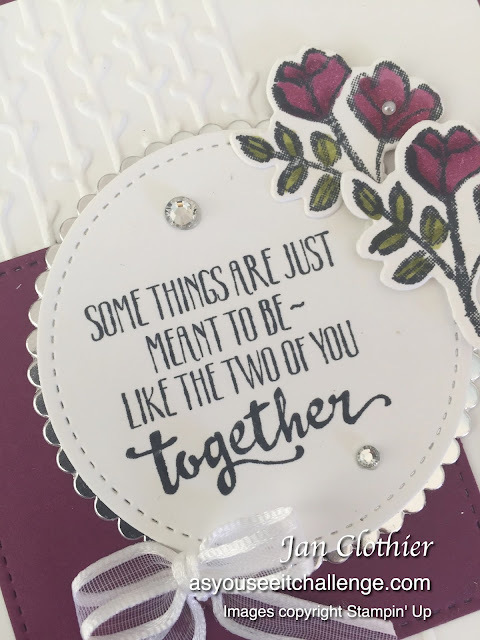 I love the rich colors you used and the way you used that embossing. GREAT design!